Bison Dele, pictured while still playing for the NBA. 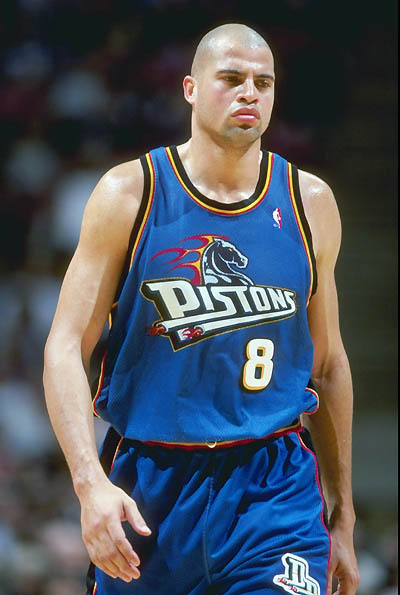 Bison Dele was born Brian Carson Williams on April 6th, 1969 in Fresno, California. Bison remained in Fresno for much of his adolescence until middle school when his parents divorced. His family made the move to Santa Monica, wherehe would play for Saint Monica Catholic High School team where his jersey would be retired. Bison would grow to 6’10, not the tallest center but he wouldn’t allow that from stopping his growth as a payer. After high school, Bison played for the University of Maryland and the University of Arizona. He would later be drafted in 1991 as a first round pick by the Orlando Magic where he would play for 2 seasons. 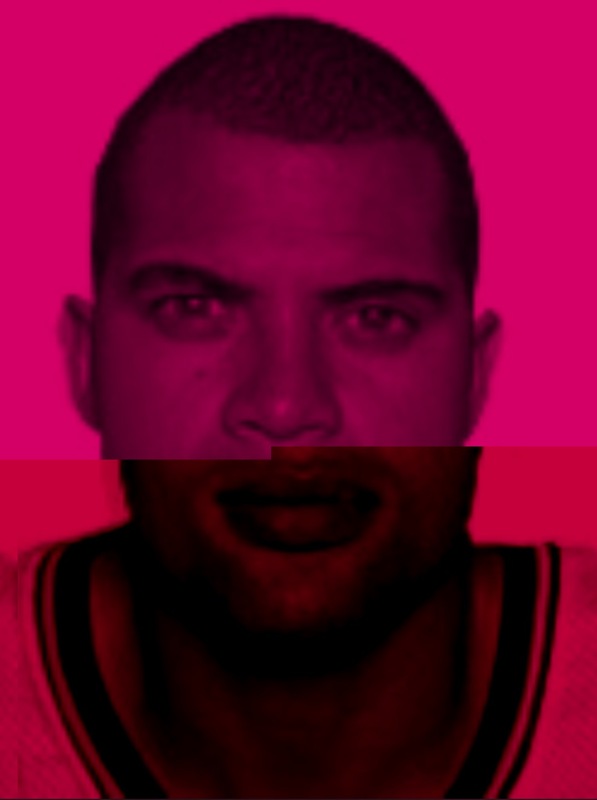 After his stint in Orlando he was later signed to the Denver Nuggets again playing for 2 seasons. After the Nuggets, Bison then went west to familiar territory and played for the Los Angeles Clippers. He only played for a season due to contract disputes. He eventually signed with the Bulls at the end of the 1997 season earning him an NBA Championship Ring. After Chicago then played another 2 seasons for the Detroit Pistons where he was beginning to meet his stride earning a career high average of 16 points a game and 8 rebounds. While playing for Detroit is where Bison changed his name in support of his Native American and African heritage. Dele while playing center for Detroit. In 1999 Dele shocked many by retiring at the age of 30. He didn’t show any signs of breakdown, was playing the best professional basketball of his career and was the highest paid player in the Detroit franchise at that time. However many speculate that Bison did not have the drive, nor the passion to continue his career, feeling he had made enough money to retire so he did exactly that. Dele went on to live an interesting and eccentric lifestyle, from he rumors that he had dated Madonna to his love for music. He played saxophone, violin and trumpet. In addition, Bison began traveling extensively and earned his pilot’s license. Dele also learned how to sail catamarans during his travels which included Australia’s Outback, the Mediterranean, Lebanon and the South Pacific. Bison really lived an incredible life and achieved much in a short amount of time. On July 6th, 2002 Bison was on another excursion to Tahiti. Along with his girlfriend, Serena Karlan, skipper Bertrand Saldo and brother Miles Dabord, they had all set sail on Bison’s catamaran the Hakuna Matata. Once the team set sail only Bison’s brother, Miles would be heard from again. While traveling many aboard the ship including Bison and Serena would regularly call family and friends and kept in touch often. After July 8th no calls were made. On July 20th, 2002, 2 weeks after the start of the voyage Miles appeared in Tahiti with the catamaran, he was alone and speculation was high. Weeks later police attempted to trap Miles in the act of trying to steal from his brother under Bison’s name using stolen identification. Miles had forged Dele’s signature in an attempt to buy $152,000 worth of gold. Miles had left for Mexico and was staying in a hotel in Tijuana. A few days earlier the catamaran was found with its identification removed. There also appeared to be bullet holes on the boat which appeared to be patched up. Due to the rising suspicion Miles spoke with his mother and claimed he would never hurt his brother and could not survive in prison. The investigation began to grow and the FBI became involved. It was concluded that the three missing crew members were killed and thrown overboard. Due to the fact they were dumped in the ocean, the probability of their bodies being found were not high. Miles, the brother of Bison decided to take his own life. He overdosed on insulin and went into a coma which lead to his death shortly after. According to his account Bison had struck Serena and accidentally killed her. The skipper planned on reporting the crime so Dele shot and killed him also. After the second death aboard Miles claimed he was forced to shoot his brother in self defense. Miles dumped the bodies and planned on leaving the island. There is no hard evidence supporting his claims the disappearance of the three remains a mystery and may remain that way for years to come. Dele pictured with his brother Miles.